/SAVEINF=”config.inf” Setup is executed normally, but all settings applied by the user are recorded and saved to config.inf for usage in LOADING for unattended installations. /LOADINF=”config.inf” Setup uses settings from config.inf for installation. Only supported in unattended installations combined with /SILENT or /VERYSILENT parameter. /SILENT Must be combined with /LOADINF parameter. Instructs setup to hide Setup Wizard window and to display only the installation progress bar. /VERYSILENT Must be combined with /LOADINF parameter. Same as silent, but also hides the installation progress bar. /LOG=”setup.log” Logs the setup process to a specified file. /NOPORTCHECK=true Disables check if ports are blocked. By default, setup will check if the selected ports for Jedox components are free to use. 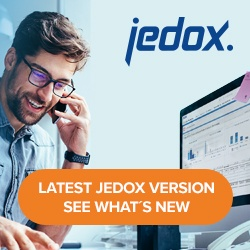 Be careful with this option, as installation may fail if selected ports for Jedox components are blocked or already in use by another service.